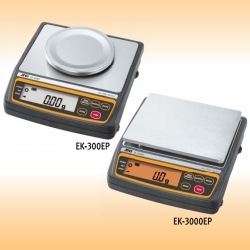 A&D Weighing now offers EK-EP intrinsically safe compact weighing balances. Stay safe with a compact, lightweight and affordable lab balance for hazardous environments. FM & FMc approved for excellent explosion protection. Portable and battery powered, requiring no power supply from a safe area. 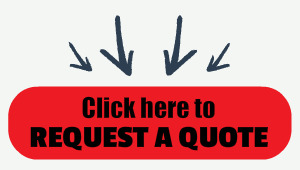 Get it today and start using it today. • Factory Mutual approved for US & Canada. • Compact, lightweight and extremely affordable while providing excellent explosion protection. • Battery operation (200+ hours) for high portability, requiring no power supply from a safe area via a safety barrier. Auto power off ability. • Easy-to-read LCD display with backlight (16 mm character height). • Hygienic and chemically resistant stainless steel (SUS304) weighing pan. • Multiple weighing units: g, oz, lb, ozt, ct, mom, dwt, gr, N, in addition to counting mode, percent mode, and SG (specific gravity). • Comparator function for faster and more accurate filling, packing, sorting, and dosing. • Adjustable response characteristics depending on the degree of drafts and vibrations at the location. Note: The following batteries must be used to maintain FM approval: Energizer AA E91 alkaline LR6 AM3, or Duracell AA alkaline MN 1500 LR6, or Panasonic AA alkaline LR6(XJ) 1.5V. Be sure to check with A&D in the future to make certain that you follow their current recommendation regarding battery replacement.